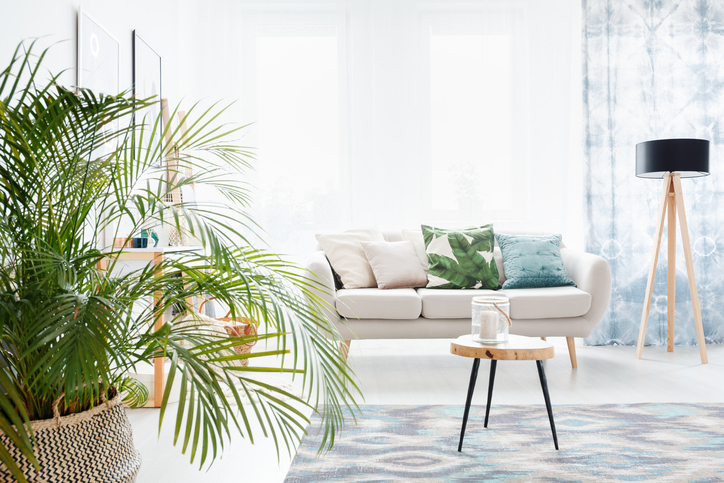 Bringing the outdoors in is huge in home décor these days, but so-called black-thumbers—and the forgetful—traditionally have big trouble keeping their houseplants alive and thriving. Pothos. Sometimes called Devil’s Ivy, this plant with shiny, heart-shaped leaves, sometimes speckled with white or gold, does well in any light and doesn’t mind drying out now and then. It’s a little leggy, so you can let it trail from a pot or basket—or trail it along the mantel. Bonus: this plant can help purify the air in your home. English Ivy. A trailing plant like pothos, this attractive choice has smaller heart-shaped leaves and does an even better job of filtering toxic agents out of the air you breathe. And it doesn’t require much sunlight or water to retain its cheerful demeanor. Chinese Evergreen. A trim and sleek-looking plant with large green, speckled leaves, Chinese Evergreen stays where you plant it and is a good choice if you don’t have a lot of natural light. It likes a bit of water when the top of the soil goes dry, but can do without moisture for as long as two or three weeks without noticeable damage. ZZ Plant. You may have never heard of this one, but it’s a natural for growing indoors. It has thick, rubbery leaves that might remind you of a palm or fern, and requires about as much attention as a cactus. It grows fastest in bright light, but it does just fine in low light and asks only that you think to water it once a week or so. Parlor Palm. This attractive palm-like plant with narrow fronds will grow three or four feet high, making it a good choice to show off in a basket or tub to anchor an empty corner. It can handle low light, low humidity, bad air, near-freezing temperatures and some neglect, making it perfect for people who are accustomed to accidentally killing off their house plants.